This is the time of year when the lanterns come out and light up the night. Hoi An, in Vietnam, probably has the most lanterns used on a regular basis than anywhere else in the world. These lanterns have an unusual shape. The standard array of lanterns on every shop and restaurant in the city. 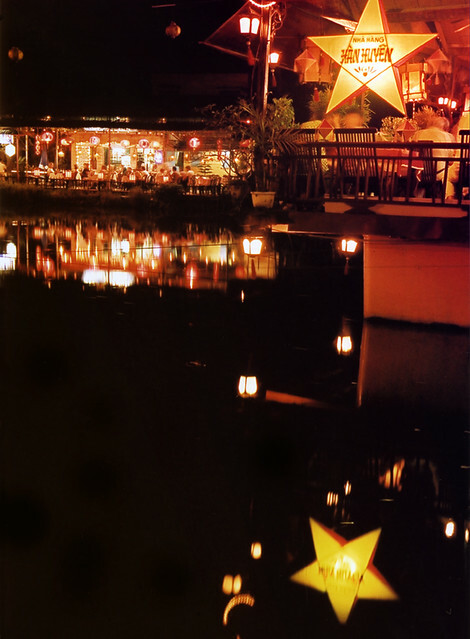 The light of the lanterns reflecting on Hoi An’s river. The lanterns were there even back in 2003. 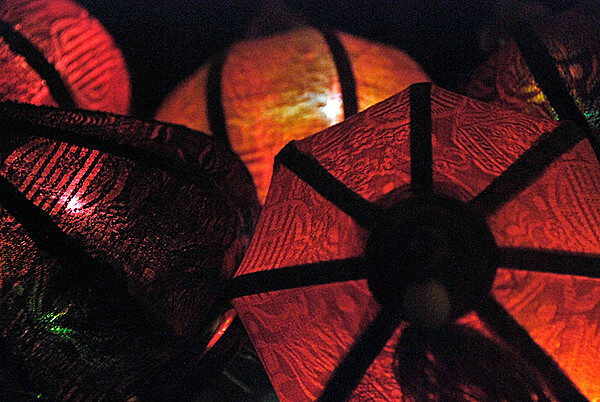 Our own little lanterns, brought home from Vietnam, lighting up the living room on this dark November night. More of Ailsa’s Travel Theme: Luminous.